You can taste Ippongi • Denshin, Ippongi Kubohonten Co.,LTD from Fukui prefecture, and Amabuki, AMABUKI SHUZO CO., LTD. from Saga prefecture. Ippongi Kubohonten is founded in 1902. It is located in Katsuyama city, Fukui, in the Hokuriku region of Japan. Katsuyama is in the northeastern corner of Fukui Prefecture, a region blessed with abundant natural beauty. Surrounded by soaring mountains over 1,000m high, the city is located in a valley basin carved out by the Kuzuryu River, the largest river in Fukui. Since the beginning of the 20th century the main industry in Katsuyama has been textile production, and the agriculture and forestry sectors are particularly active as well. Special foods from Katsuyama include rice, melons, mizuna (potherb mustard), taro potatoes, and soba noodles with grated radish. Katsuyama boasts a wonderful natural environment and many cultural assets, and it also takes pride in being ranked as the 9th cleanest city in the world by Forbes Magazine in 2007. Furthermore, in recognition of the numerous dinosaur fossils found and the unique geological features of the area, Katsuyama became a Japan Geopark in 2009. Echizen Katsuyama Castle is the tallest castle in Japan. The castle (with a 700 year history, but rebuilt of concrete in 1989) includes a museum with artifacts from the surrounding district. It’s a beautiful castle from a distance, but what really grabs your attention are the great views. From the 6th floor observation deck, you can get a full view of Katsuyama City and the surrounding Haku mountain range. Amabuki Shuzo is in Miyaki, Saga. Miyaki is located in the eastern part of Saga Prefecture, about 20 km (12 mi) east of Saga City and about 30 km (19 mi) south of Fukuoka. It borders Fukuoka Prefecture on the north and south. Mt. Amabuki is located in the northeast of their brewery. For its magnificent appearance, they were named after the mountain. Amabuki Shuzo has been more than 300 years since the sake brewery had been established and the present head of the company is now 11th generation. The main building, cellar and the other surroundings are registered as national tangible cultural properties and Saga heritage. They dedicate ourselves to making sake only with yeast cultivated off the most beautiful flowers. This gives our sakes a unique taste in the vast world of sakes. Their sake rice is grown in pesticide free paddy using a unique method. Ducks live in and among the rice doing a great job and eating weeds and insects and keeping our paddies free of pests. In addition, their webbed feet bring oxygen to the roots of the rice making for strong growth and beautiful sake rice. In the northern part of Miyaki, there is a sunflower garden. Hundred thousand sunflowers bloom between mid-October and mid-November. The sunflowers are planted on the terraced fields by local people. The large sunflowers that are bright yellow in autumn have a slightly different look from those seen in summer. Creating a great contrast of color with the autumn blue sky and the red colored leaves of Japanese wax trees in the background, they make a wonderful scenic spot. Especially on weekends, the area attracts a lot of photographers and tourists seeking to enjoy and take the photos of the picturesque scenery. Sunflowers in the Yamada area located in the northern part of Miyaki Town come into bloom sometime between mid-October and mid-November. The sunflowers are planted on the terraced fields by a group of the locals. The large sunflowers that are bright yellow in autumn have a slightly different look from those seen in summer. Creating a great contrast of color with the autumn blue sky and the red colored leaves of Japanese wax trees in the background, they make a wonderful scenic spot. Especially on weekends, the area attracts a lot of photographers and tourists seeking to enjoy and take the photos of the picturesque scenery. Aiyama, rare sake rice grown in Hyogo Prefecture, is elaborately polished to 40% of its original size, fermented using the yeast of Abelia and brewed into this distinctive Daiginjo. On opening the cap, flamboyant sweet aroma spreads. Its rich flavor bursting on the palate and characteristic sharp aftertaste harmonize perfectly. You can taste Zuiyo, ZUIYO CO.,LTD. from Kumamoto prefecture, and Benten, Goto Shuzoten from Yamagata prefecture. Zuiyo is founded in 1867, in Kumamoto. Kumamoto is a city on the Japanese island of Kyushu. The brewery is in Kawashiri, the south of Kumamoto city. Sake can be enjoyed at a various range of temperatures. Each temperature has a different name, and you can enjoy unique aspects of the same sake when you try it at different temperatures. Houjun Junmai Zuiyo is awarded Grand Gold in Kan sake contest in 55 ℃ good value category. 55℃ is called Atsu-kan which is vapor rises from the tokkuri (larger sake jars). The tokkuri and choko (small sake cups) are hot to the touch. The sake’s aromas are sharpened and it tastes dry, with a clean finish. Generally speaking, Atsu-kan is suited to hot pot (“nabe”) dishes and foods made with a lot of oil and fat. The fat from the food coats your tongue and palate, which desensitizes your taste buds. As a result, your second bite is less tasty than first. Your food would taste better if you washed your mouth between mouthfuls. Sipping Atsu-kan is an easy way to wash away the fat deposits. To warm up sake, place the tokkuri containing sake in a pot of hot water. The tokkuri gradually heats up and the heat is transmitted to the sake. It is heated to a temperature before alcohol begins to evaporate, so that the aromas do not dissipate. The server of a sake set is a flask called a tokkuri (徳利). A tokkuri is generally bulbous with a narrow neck, but may have a variety of other shapes, including that of a spouted serving bowl (katakuchi). Based in Okitama, Yamagata Prefecture, Goto Shuzoten is a jizake brewery dedicated to the small-lot production of high-quality sake since 1788. The current president is the eighth-generation owner, and his successor works at the brewery among the kurabito (brewery workers) during the winter sake-making months. Primarily using rice grown by contracted producers, among them the brewery’ s own kurabito, Goto Shuzoten brews junmai-shu and junmai ginjo-shu, among others. Its preferred rice varieties are sake rice such as Dewasansan, Tsuyahime, Kamenoo and Yamada Nishiki, especially those produced locally in Yamagata. Small-lot production and Yamagata’ s natural blessings ensure the excellent quality and great taste of Goto Shuzoten’ s sake. Their flagship brand Benten was named after the goddess of music and performing arts, Benzaiten (Saraswati), who is one of the Seven Gods of Good Fortune. Benzaiten has traditionally been worshipped by musicians, dancers and other artists. The International Wine Challenge (IWC) was established in 1984 and has now firmly positioned itself as one of the most respected blind wine tasting competitions in the world. 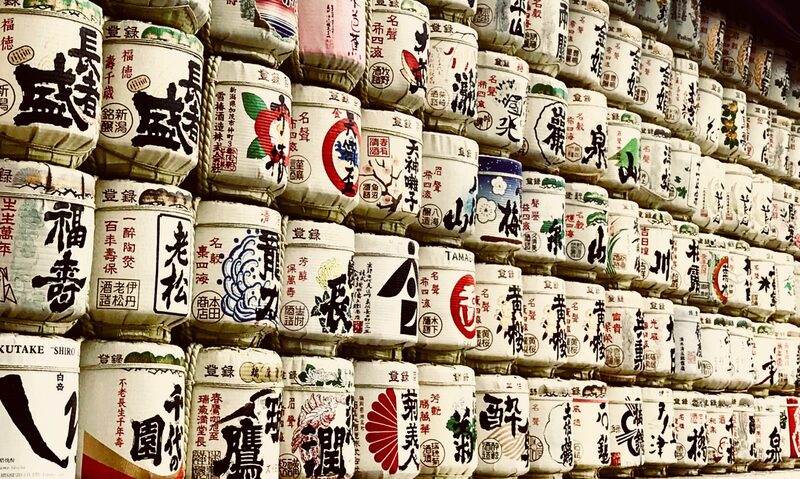 The IWC sake competition was introduced in 2007 and has grown tremendously over the past 10 years with sakes entered from Japan, Canada, Norway and the USA in 2016. As such, the IWC employ a vast number of international sake experts to judge the competition each year. Goto Shuzoten’s sake is awarded many times in IWC. This is awarded Sake Trophy 2017 in IWC. Medium+ intensity of fruity aromas such as apple, banana – fruit basket, floral, some quality rice, mandarin orange. Soft mouthfeel, sweet front palate but good savoury astringency, so refined long finish with good precision. You can taste Kirin, KAETSU SAKE BREWERY CO.,LTD. from Niigata prefecture, and Yauemon, YAMATOGAWA SHUZOTEN Ltd. from Fukushima prefecture. Kaetsu Sake Brewery was found in 1880 in Fukushima prefecture (transferred to Niigata prefecture at 1886). Niigata prefecture is situated opposite position of Tokyo and faced to Japan Sea. Owing to these geographical features, it is very hot in summer and cold and one of the snowiest countries in winter. Niigata prefecture is famous for most delicious table rice “Koshihikari” and very nice domestic Sake. The brewery is located in Aga-machi where the Agano River and the Tokonami River join and is surrounded by many mountains. Then fogs often gather along those rivers. Such a climate condition gives birth to highest class Sake rice. Moreover water quality is also important in Sake brewing. The brewery has been blessed with an excellent natural spring which water is pure and soft. “Kaetsu brewery Sake is a wonderful gift from nature”. Mt. Kirinzan stands in the northern part of Aga-machi. The story of “Kirin” of Mt. “Kirinzan” is based on a legendary unicorn. The Kirin unicorn is an imaginary animal that has been said to appear in the sky to prepare auspicious events. Kaetsu Sake Brewery has named their sake “Kirin” with their hope that it will be enjoyed in such a way that brings happiness to the drinkers. The tasting profile of “Kirin” is “Tanrei-Karakuchi “(Clean, Light and Dry in English). “Kirin” Sake is good for every food. Yamatogawa Shuzoten in located in Kitakata, Fukushima. Since the mid-Edo period in 1790, it has brewed sake for nine generations. Using clear Iide Mountain-sourced water, the generations of brewers have put serious effort and passion into brewing sake such as the Yauemon sake. Fukushima Prefecture is home to the largest number of award-winning sake brands for the sixth year in a row, marking a record in an annual competition. Of course Yamatogawa Shuzoten is also a multi award-winning brewery. Naturally filtered water from 2105m Iide Mountain – part of a mountain range that is spread out over the three prefectures of Fukushima, Yamagata, and Niigata – is used to make all the sake at Yamatogawa Shuzoten. This pure water produce Kitakata ramen. It is one of the major remen in Japan with Sapporo ramen, Hakata ramen. There are more than 100 ramen shops in Kitakata. The noodles are particularly unusual. Ramen noodles tend to be thin and straight, but those in Kitakata are fat and wavy, due to the fact that they used to be delivered – fatter noodles didn’t spoil as easily during transportation. They are also slippery and slightly softer. This is because they are takasuimen, which means that a higher percentage of water is added to the flour. It is fun to slurp and chew.